Spring is right around the corner! Here’s a tip to get your lawn off to a great start – Schedule your Core Aeration! Core aeration is also an excellent way to mitigate soil compaction. Core aeration reduces compaction and allows water and oxygen to get to the roots. 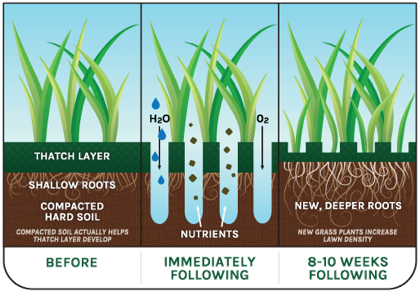 Core aeration can also stimulate root growth in sod lawns that need to connect to the soil. Thatch, a mat of above-ground roots that prevents air and water from getting to the soil, will also be broken up with core aeration. 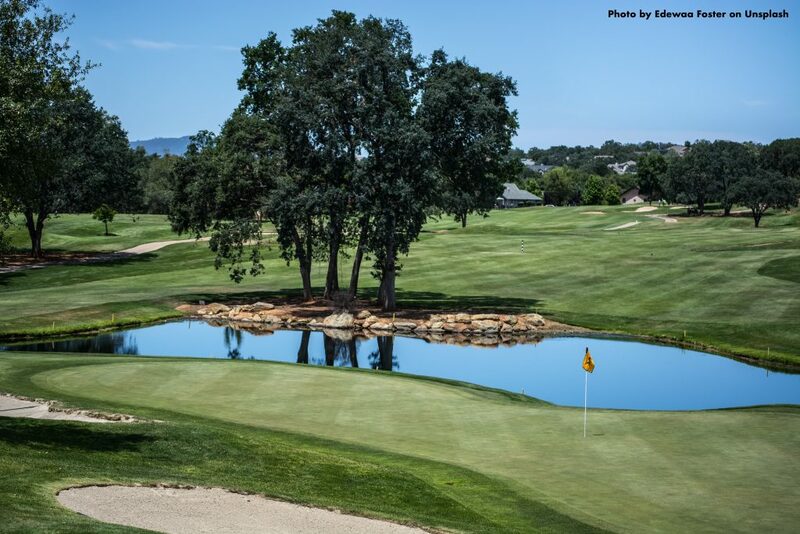 For many years, professional golf course greenskeepers have known that the secret of a beautiful course is to aerate two or three times each year, allowing the healthy grassroots to thrive. Now your lawn, too, can enjoy the benefits of professional aeration. Now don’t confuse spike aeration with core aeration. Core aerators actually removed plugs from your lawn providing all the benefits. While spikes simply puncture and cause more compaction. And, the best results come from expensive commercial equipment. Warm-season lawns should be aerated in mid-spring to summer. The team at Alternative Environment is currently taking reservations for Core Aeration. If you book early, in addition to guaranteed a spot, you also receive $25 off this service.